A 7.1 magnitude earthquake has led to the discovery of an ancient shrine dedicated to the rain god Tláloc beneath the pyramid of Teopanzolco in Cuernavac, Mexico. The pyramid had suffered heavy damage during the September 2017 earthquake that flattened parts of Mexico City. It caused a re-alignment of the pyramid’s core, resulting in subsidence and sinking of the structure. The discovery was made when researchers of the Institute of Anthropology and History (INAH) carried out radar surveys to asses the pyramid’s damage and found a 6 by 4-metre temple within the pyramid. Other discoveries include a pulaster ordained with stucco, fragments of wall stucco, ceramics and a censer for ritual ceremonies. The temple is thought to belong to the middle post-classic period from 1150-1200 CE and probably belonged to the Tlahuica civilisation. 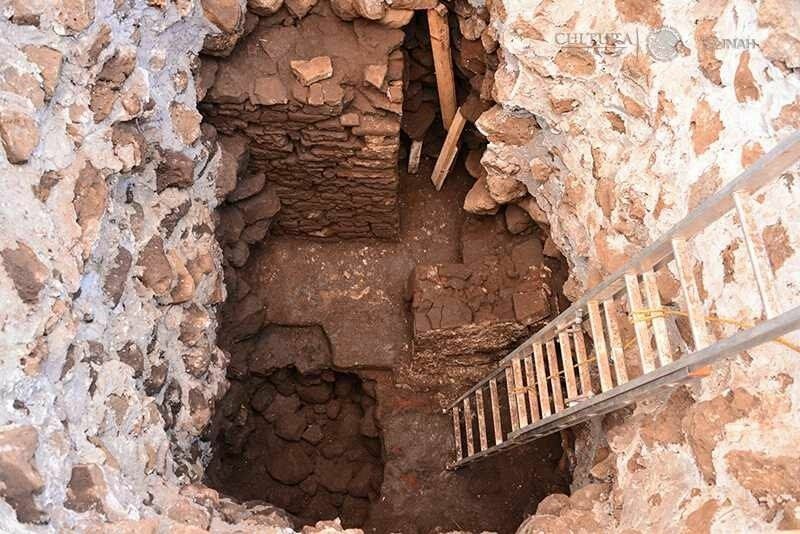 INAH specialists discover remains of a temple inside the Teopanzolco pyramid, in Morelos. Photo: Melitón Tapia, INAH. During this time, various Nahua groups had moved into the Central Mexican Plateau where the Tlahuicas founded nearby Cuauhnahuac and Teopanzolco. They were conquered in 1427 AD by the Aztec Emperor Moctezuma Ilhuicamina, after which they were integrated into the Aztec Empire. Header Image Credit: Melitón Tapia, INAH.